1 March this year, when the doors will be open at the Crocus Expo International Exhibition Center. Some 145 exhibitors (2017: 130) will have solutions on display covering the entire beverage manufacture and marketing process chain. Trade visitors (2017: about 4,000) looking for the right raw materials or efficient technology will get results, just like those with their eyes peeled for the perfect packaging or seeking inspiration from zappy marketing ideas. An extensive supporting programme covering wine, beer, PET and more will accompany the main event with its presentations, seminars and competitions. non-alcoholic drinks such as soft drinks, juices and mineral water, and also liquid dairy products. The extensive supporting programme on industry topics of current interest is aimed at decision-makers in the beverage industry. 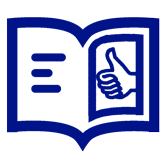 In addition to presentations and discussion rounds on specific questions relating to non-alcoholic drinks and mineral water and regulations governing beverage manufacture, trade visitors will find a wealth of information and suggestions in the areas of wine, beer and PET. This is the first time that wine, its cultivation and processing, will be expressly included at Beviale Moscow. ThePavilion for Wine Production & Manufacturing, established in conjunction with the honorary sponsor, Russia’s largest wine-producers’ association (the Union of Winegrowers and Winemakers of Russia), reflects the dynamic development this segment is undergoing in the Russian market. The result is a targeted platform for decision-makers from wineries and beverage professionals from Russia and the CIS countries. A competition for young Russian vintners is also being held in collaboration with the Worldskills organisation, where they can demonstrate their craft skills, especially in laboratory analysis, distilling, blending and filtration. The wine theme will be rounded out with a number of top-level presentations on state-of-the-art wine production in Russia. With a total of 78 million hectolitres, Russia is second only to Germany in European beer production. The craft beer movement is also well established there. Visitors to the trade fair can enjoy not only beer but also other craft beverages at the Craft Drinks Corner in the presence of the respective makers. The tasting zone is a collaborative effort with partner entity Association of Beer and Beverage Market. Craft beers are also the focus of the two-day VLB Seminar for Modern Brewing Technologies, organised by the Versuchs- und Lehranstalt für Brauereien (VLB, Research and Teaching Institute for Brewing, Berlin), one of the international sponsors of the Beviale Family. The seminar is aimed at owners and master brewers from small-scale and craft breweries, as well as hobbyists, and offers many opportunities for further training, networking and professional discussion. 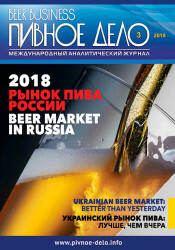 Following its successful debut at Beviale Moscow 2017, the Russian ROSGLAVPIVO beer prize will be awarded again on the first day of the fair in 2018. Instituted by the honorary sponsors, the Barley, Malt and Beer Union and Private Brauereien Deutschland e. V. (Private Breweries Germany), this prize is awarded to the best of the approximately 200 beers entered in 23 categories, from “German-style light Kellerbier” to “New Style Pale Ale” and “Special Honey Beer”, and also alcohol-free beers. 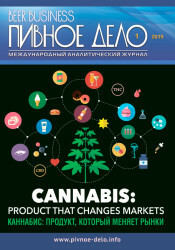 PET is a very popular topic in the Russian market, which is why it is once again on the agenda in 2018 at Beviale Moscow, the central platform for the Russian beverage industry. Following its successful debut in 2017, PETarena powered by PETnology will once again present attractive solutions covering the entire PET value chain this year. This topic arises in many presentations by leading companies in the PET packaging area aimed at both small and medium-sized industries and global players alike. The NürnbergMesse Group is demonstrating its skills in the beverage industry on an international stage. The “parent” event is BrauBeviale, the international capital goods exhibition for the beverage industry in Nuremberg, where the industry has exhibited every stage of the beverage production process for more than 40 years: raw materials, technologies, logistics and marketing. 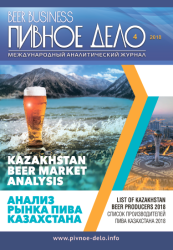 Other members of the Family are at home in key growth markets around the world: Beviale Moscow is the first and only trade fair for the entire beverage industry in eastern Europe. CRAFT BEER CHINA in Shanghai is the meeting place for China’s Craft Beer Community, just as CRAFT BEER ITALY in Milan is the B2B platform for the industry in Italy. The Beviale Family is also represented in Brazil, where the Feira Brasileira da Cerveja in Blumenau is supported by BrauBeviale. Further projects are in the pipeline.